Here is a 180 degree panorama shot from a terrace of a building. 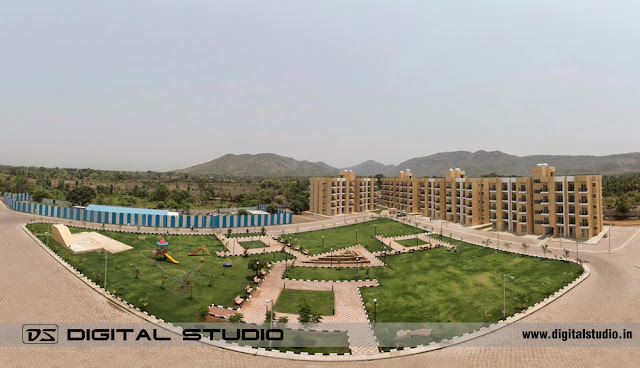 This panorama is the result of stitching 6 photographs, shot with the camera held in portrait mode. All the photographs, were taken at 16mm.